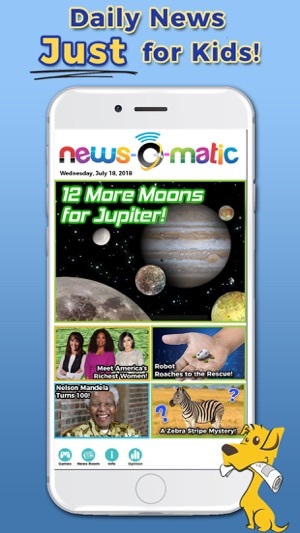 News-O-Matic is the daily news app to inspire a love of nonfiction reading. 100+ new articles each month cover a range of high-interest topics for curious kids. 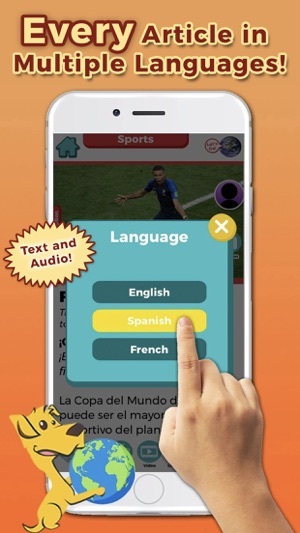 Subjects include science, sports, world news, technology, arts, and entertainment. Reading current events empowers children to be critical thinkers, lifelong learners, and global citizens. Every story is written at multiple literacy levels for ages 6 to 14. News-O-Matic is always 100% ad-free. A child psychologist reviews each article to ensure emotionally safe and age-appropriate content. • Subscription options include per month, per six months, or per year. • A free trial begins at start of subscription. Easy to cancel at any time. • User can manage subscription & turn off auto-renewal by going to Account Settings after purchase. • No cancelation of the current subscription is allowed during active subscription period. Schools and districts looking to buy News-O-Matic through Apple’s Volume Purchase Program should buy News-O-Matic: School 2018-19. For more information visit www.newsomatic.org or contact support@press4kids.com for help or questions. 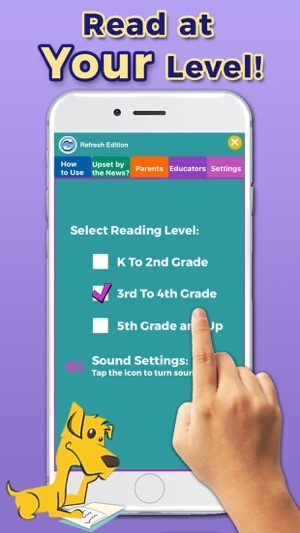 Press4Kids’ impressive app gives younger readers a fantastic way to keep up with—and better understand—current events in the world around them. 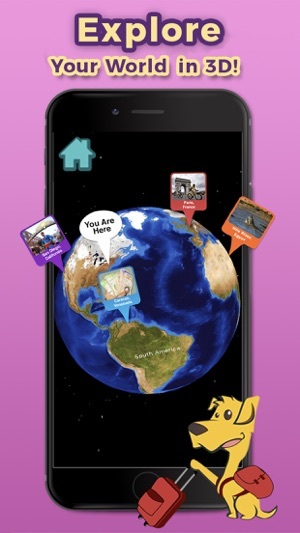 Presented like a daily newspaper, the app offers five stories a day at a level kids can easily comprehend, accompanied by video clips, maps, interesting facts, and other handy information. 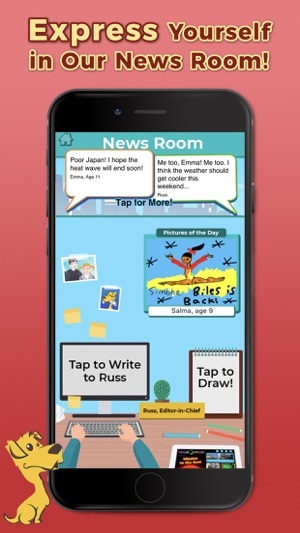 For students, News-O-Matic isn’t just a valuable news source—it’s also a terrific introduction to journalism, and teachers can use it to inspire class projects where children produce their own publications. This news app was perfect for me until I updated it recently & made me sorry I did. Now while reading the articles, as I am nearing the middle or end, it keeps jumping back to the beginning! I have to keep scrolling back continuously to the section I was reading! That so much takes away the joy from reading the articles. Why is it doing that?🙁 Then I was surprised they took away the little animated piece (with the dog & ball, etc) they had when you pressed the app! Now it just says loading.... If I had known it was going to be a problem reading the articles - since it keeps scrolling back to the top automatically - I would have NEVER updated it! Can you please fix this?!? Why do supposed updates make things worse instead of better? The articles are still great but how can they be read & enjoyed if it automatically jumps back to the beginning?!? Again, can you please fix this? We are very sorry you've experienced this issue. There was a bug that has just been corrected. 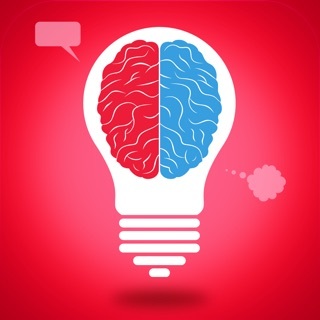 You can now update your News-O-Matic app and will not experience this bug again. Thank you for your understanding. This seems like a truly great idea. I’d love to find out what it’s like, but you really can’t learn anything about it without signing up and getting on a week trial plan (which auto-renews if you don’t remember to cancel). Pretty cheesy if you ask me. I suggest they let an interested person access a basic level just to look around, say 24 hour access. I suspect they’d get many more people to have a look. I’m certainly not interested in signing up and then having to worry about canceling later. What a turn-off. It’s kind of like going to a nice hotel but they won’t even let you in the lobby to look around without giving them your credit card. A turn off. I hope they’ll reconsider this. I was interested. Now I’m just irritated.